"A multicultural dimension to the words and pictures gives this title universal application, as life throughout the world is celebrated." 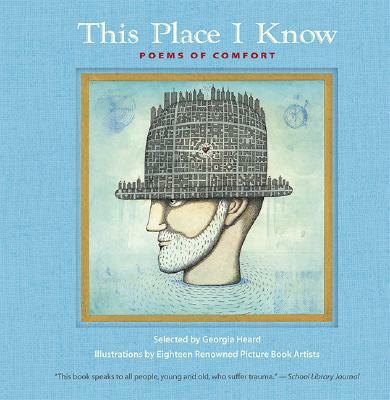 In September 2001, New York poetry anthologist Georgia Heard was asked to compile a collection of "poems of comfort" for schoolchildren in lower Manhattan. Soon afterward, Candlewick Press approached a number of well-known illustrators to ask if they'd like to contribute to the project. Within weeks, eighteen artists had volunteered their talents to illustrate one poem each. The result was this timeless volume of life-affirming poetry. Now reformatted with an elegant new cover, this collection is as diverse as it is powerful, as beautiful as it is full of heart. From Emily Dickinson's " 'Hope' is the thing with feathers" to Langston Hughes's "Dreams," from Walt Whitman to Georgia Heard herself, here is an outstanding selection of poets and poems, matched by a stellar array of artists and art.